The United Kingdom’s education system has changed dramatically since the first grammar school was founded in Canterbury, in 598 AD. It has evolved thanks to the ideas of many politicians, academics, philosophers and educators. These great thinkers proposed new ways of learning that helped to improve how people are educated. They also worked on improving the school system in the United Kingdom and how classrooms operate. This article will take a look at some of the most influential thinkers in education and how their work impacted the education system in the UK. Theory of Value: What knowledge is valuable? Socrates believed that different kinds of knowledge had different value. That there is “trivial” and “valuable” knowledge. He believed that it was necessary to define which kinds of knowledge and skills had real value. Socrates also thought knowledge which the students had discovered themselves was of far greater value (the Socratic method of learning). Theory of Knowledge: What is knowledge? Socrates sought to define knowledge and truth. He sought to separate knowledge from beliefs, lies, and mistakes. 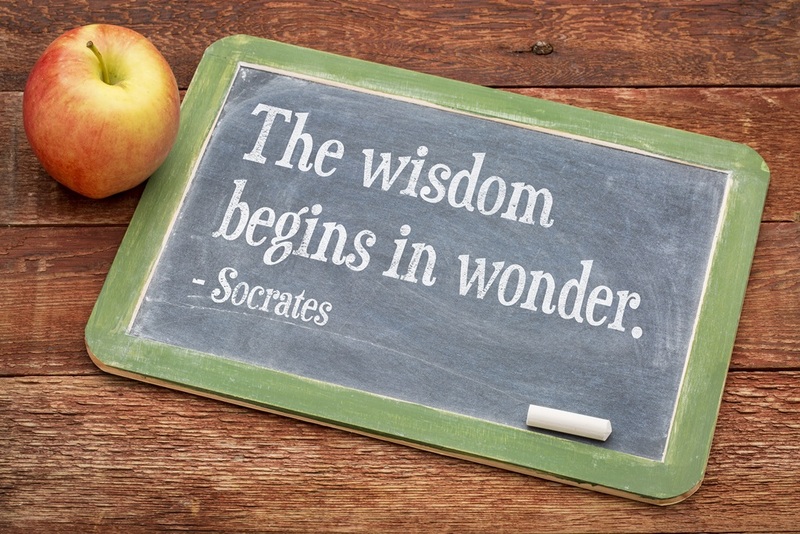 Socrates firmly believed that people can arrive at truth through questioning. Theory of Learning: What is learning? Socrates defined learning as the “seeking of truth”. He developed a process for learning, where participants question others, examine the veracity of their answers, examine the facts, then question themselves. Theory of transmission: Who is to teach and what methods should be used? Socrates did not believe that one person or school could be an authoritative source of knowledge. He believed that any education system should be a continually evolving and a continual process of discovery would form the knowledge shared by schools. Theory of Opportunity: Who is to be educated? Socrates detested ignorance and believed that everyone should have the opportunity for intellectual and moral improvement. Horace Mann was an American politician who dramatically reformed the education system in the United States. He had a firm belief that education should be universal, secular, and free. Mann also believed that schools should aim to produce individuals with well developed ethics and a sense of civic duty. Raikes was a philanthropist and Anglican layman who established Sunday Schools during the industrial revolution. During this period, young children were often working in factories six days a week and had no opportunity to obtain an education. Raikes set up schools that taught children how to read, using the bible as their textbook. The schools helped thousands of children to become literate. John Pounds was a teacher and altruist who set up a school to teach homeless children. He would often entice children into attending his school by providing them with some food. Pounds taught the children how to read, write and perform basic arithmetic. He was responsible for the creation of the concept of Ragged Schools — charitable organisations that provided children with a free education. Thomas Guthrie was inspired by the work of John Pounds when he wrote the influential Plea for Ragged Schools (1847). The work of these two men was crucial for the establishment of free education in the United Kingdom. William Forster was a politician, industrialist, and philanthropist who promoted free education in the UK. In 1870 he managed to pass a bill called The Forster Elementary Education Act. This bill required state-funded board schools to be set up in areas where existing schools were inadequate. The schools were managed by elected school boards. While they charged fees, poor parents could be exempted. Within a few years the Elementary Education Act 1880 was passed, which raised compulsory school attendance from 5 to 10 years. Maria Montessori was a scientist and educator who developed new education techniques for special needs children and young children. The “Montessori” teaching methods give students more independence and freedom within the classroom, allowing them to discover new subjects that they find interesting. This “discovery” approach resembles the Socratic method to an extent, with children gaining useful knowledge from their discoveries. Bruner devised the discovery learning theory, which suggests that children are better at learning and remember information that they discover by themselves. The theory also suggests that children are better at remembering information if it relates to something they already understand. His approaches have been used successfully in many classrooms in the UK. Traditionally, intelligence is measured by a person’s ability to solve problems and their cognitive capacity. Howard Gardner suggested that there were many other forms of intelligence including logical-mathematical, musical, interpersonal, intrapersonal, and bodily-kinesthetic intelligences. His work has helped teachers evaluate students in a more holistic and nuanced way.